Directions: Using a fork, combine all ingredients in a medium size bowl, and set aside. Directions: Preheat oven to 425*F and prepare cookie sheets. 1. 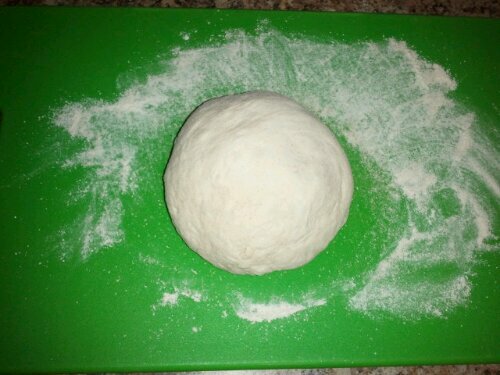 Knead dough lightly to squeeze out any air bubbles and divide into 4 pieces with a sharp knife. Roll out into circular shapes about 8″ in diameter. 2. You can either spread a thin layer of pizza sauce or not, up to you. If you do, make sure to leave about 2cm-1″ of space at the edge for sealing when you’re done. 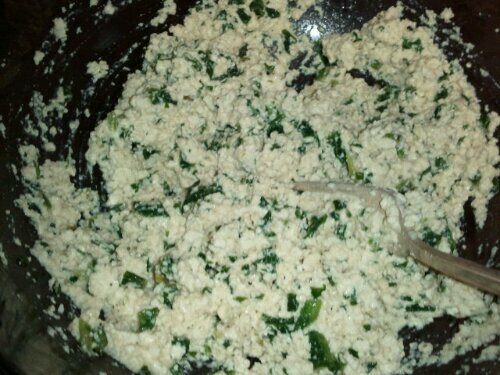 Place about 1/4 of ricotta mixture on one half of the circle. 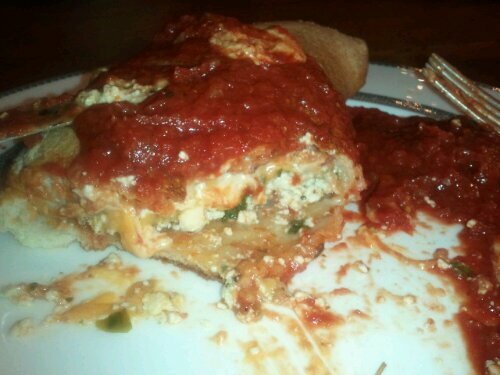 Top with about 1/4 of crumbled burger. 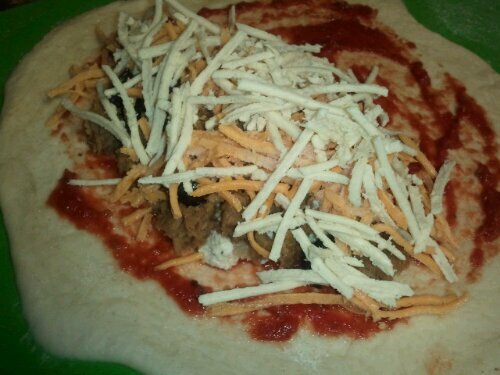 Add additional toppings and cover with shredded cheese. 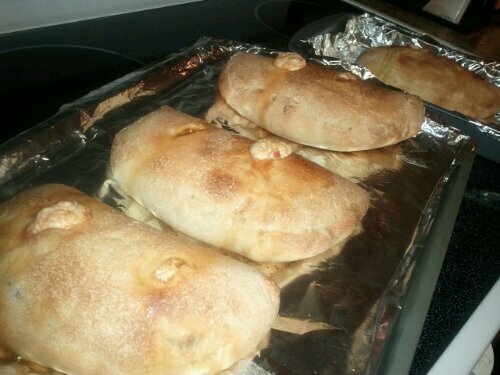 Fold plain half over and roll the edge to seal, crimping with your fingers. Cut 2-3 vent holes in the top. 3. 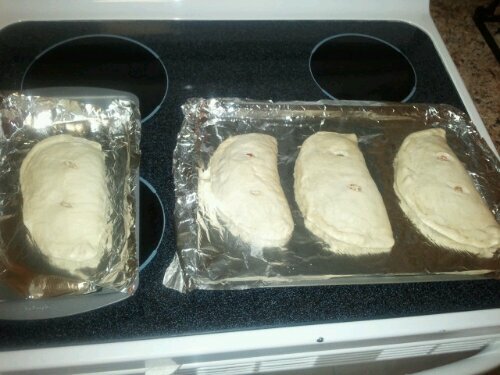 Repeat with remaining dough and toppings. We just ate the last two for lunch. They really were, thanks!